Dustin Burrows is a Lubbock native and experienced litigation attorney at Liggett Law Group. Dustin has a wide array of experience helping both people and businesses with legal matters and focuses his practice on litigation. Dustin attended Rhodes College where he received his undergraduate degree before attending Texas Tech University where he obtained his Masters of Business Administration. While working toward his MBA, Dustin also attended the Texas Tech University Law School and received his Juris Doctor. Upon graduating law school, Dustin joined McCleskey, Harriger, Brazill & Graf, a Lubbock based law firm. In this position, Dustin focused his practice on construction, agriculture, and oil and gas issues, helping both individuals and companies. In addition to being licensed in the state of Texas, Dustin is also licensed in the state of New Mexico, all federal courts in Texas, the U.S. Supreme Court, and the 5th Circuit Court of Appeals. Dustin has been recognized as one of Thomson Reuters’ Super Lawyers since 2013 and has been named to the Young Professionals of Greater Lubbock “20 Under 40” List. Dustin has also been designated as an Advocate from the National Institute of Trial Advocacy and has an AV rating from Martindale-Hubbell, the premier attorney rating system. 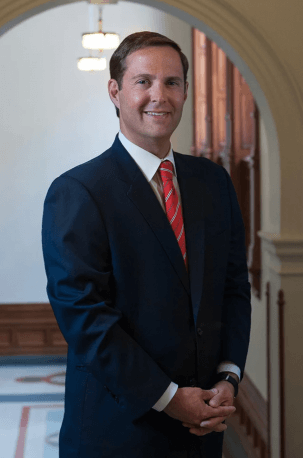 Dustin is a Fellow and former Trustee of the Texas Bar Foundation, a member of the American Board of Trial Advocates, the Federalist Society, the Christian Legal Society, the Christian Trial Lawyers Association, and the Lubbock Executive Association. As an active member of the Lubbock Community, Dustin has served on the Lubbock Charter Review Committee, the Lubbock Zoning Board of Adjustments, the Texas Residential Construction Commission, and the West Texas Home Builders Association. 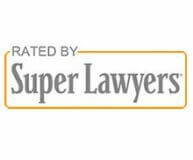 "Mr. Liggett illustrated genuine concern for my injuries and ongoing doctor's visits and procedures, at a level you wouldn't think one would get from an attorney. Best feature (that I personally felt) about Ted, was that he was just as eager as I was to maximize the settlement amount. In my opinion, that is EXACTLY what you would want in an attorney."